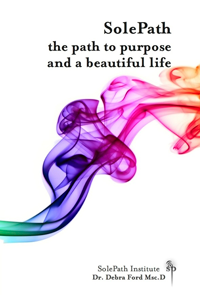 SolePath the path to purpose and a beautiful life is now available in the SolePantry. You can also get it for the Kindle app on your smartphone or tablet from Amazon. This book models for you the path to manifesting your body of work, your great truth, to answering the question ‘how may I serve’. Your great truth lies within your gifts and greatness. We know this for sure, if you live your life in your LightPaths, you are connected to your soul and it is possible for you to navigate towards this great truth that will be the teaching of your life. You don’t have to have any particular SolePath, because when you live your life in your LightPaths, whatever they are, you are connected to your wisdom, to your higher self, to your soul, your guides, your angels, your god. It is from this place of expanded energy that you can hear this wisdom. You can browse the Table of Contents and read the Introduction here. What to listen to the book? Download the audio copy of the book.